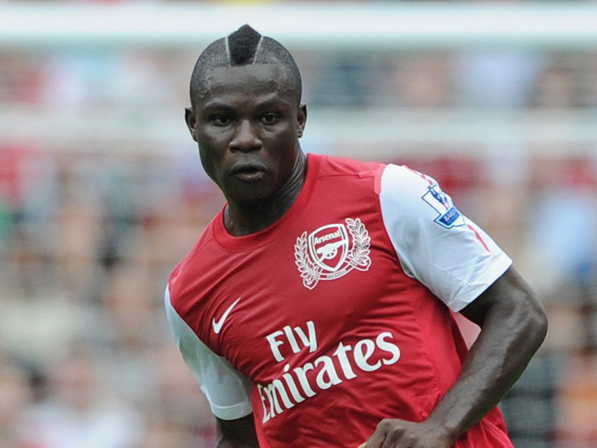 Fulham boss Martin Jol is seriously considering signing Arsenal’s misfit Emmanuel Frimpong on a permanent deal. The 21-year-old Ghana midfielder has joined the Cottagers on loan until the end of the season, and Martin Jol revealed he would like to sign the player on the permanent deal should the opportunity arise. “If there is the opportunity to take him, I would probably do it,” said Jol. Frimpong has made his first appearances in the Fulham shirt in the Cottagers’ scoreless draw with Norwich, and featured from the bench during his side’s 2-2 draw with Sunderland. Frimpong’s career at the Emirates has been put on hold after spending two lengthy spells on the sidelines in three years due to cruciate knee injuries.